The need for personal assistants to help out with the elderly and those that cannot care sufficiently for themselves is far from diminishing. The shift to personal home healthcare being more client centric has happened for a variety of reasons. The number of companies providing this service has increased thus making it important to make clients happy. In the past there might have only been a few companies offering these services so clients might just have to deal with poor service or rude employees. Below are reasons that personal assistant healthcare has shifted from company to client centric. In the past people looking for personal assistant care had to try out a company to see if they were a good fit. Now the company could have personal assistants available on the website where reviews are given by clients. Online reviews are extremely powerful but it is important to sift through the overly critical and ones that offer too much praise. These could come from disgruntled former employees while the positive ones could come from current employees. Look for the reviews with details about the care received allows a client to see if those being cared for are being treated with the highest quality of care. Online reviews are also great for the company providing the care as they can target certain employees that seem to be mentioned constantly. Those that are mentioned in a negative manner can be given a warning or terminated. Those who are mentioned in positive ways in review after review can be given valued clients and possibly a raise. Providing care to a client becomes much easier when there is a personal relationship between the client and assistant. With CDPAP this can be a friend or family member who not only can be a huge help but also will be compensated for their time. Companies that provide home healthcare would rather have clients working with staff they like and respect as it reduces complaints. Time can be wasted simply from a client complaining day after day when a simple switch could solve all of the problems. With CRM systems a company can see whether a person prefers their assistant to be male or female along with things that might upset the client or they enjoy doing. Pairing clients with assistants they have a personal relationship with saves everyone time as well as a headache. Health issues or a sudden injury could be the deciding factor in an individual needing a personal assistant for their home healthcare needs. This is not the time to focus on the company’s needs but rather the client as it can be tough admitting that you can no longer care for yourself. The last thing a client wants to hear in this type of situation is that they cannot do something. Nursing homes are not an option for many families due to potentially poor conditions as well as the astronomical cost for those without insurance.  Not all companies that offer home care are created equal in their policies and hiring practices. Technology has made it as easy as ever to monitor a personal care assistant. Even older people needing home care will be able to take a picture of a napping aide. The fact that cameras can be put throughout the home and pick up conversations holds caretakers accountable like never before. The shift in a myriad of industries to being more consumer centric does not look like it is going to slow. This is making quality of service in the home healthcare niche much higher without sign of stagnating anytime soon!